Follow the trail of cherry blossom across Kyoto, Kanazawa, Nikko and Tokyo on a 15-day tour that takes you to Japan’s great gardens. The fascinating mix of ancient Zen serenity and eclectic modernity makes Japan a tantalising destination. Sandra Ross is itching to show you to the things she loves best: haunting Fado, citrus-scented villages, sweet port, portuguese tarts, walls of blue and white azulejos tiles, mosaic pavements and marble towns; in a spring journey through Portugal. 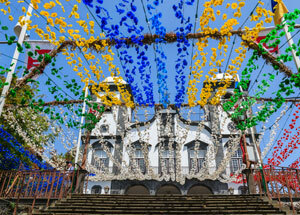 Flower-filled floats on parade at the Madeira Flower Festival. Honshu, Shikoku, Kyushu and Naoshima; visiting cities of Tokyo, Matsue, Okayama & Takamatsu. The spectacular Monaro High Country is home to some of Australia’s historic merino sheep and cattle stations. It’s a spectacular corner of the world in autumn when roads are lined with golden poplars. Come with us to an England up to its knees in spring blossom, carpets of bluebells and meadows of wildflowers. Our England tour includes the beautiful Cornish Coast, Oxford, Cotswolds, Bath and London. It’s a mix of heavenly gardens with Opening Day at the Chelsea Flower Show. 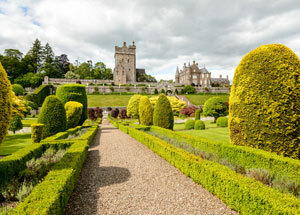 A tour of public and private, grand and intimate, walled and wooded gardens and stately homes in Northern England and Scotland. High summer brings exuberant borders, a flourish of roses and spectacular weather for sightseeing. Singapore is a City in a Garden – a mix of multicultural modernity and 19th century charm wrapped in beautiful tropical gardens. 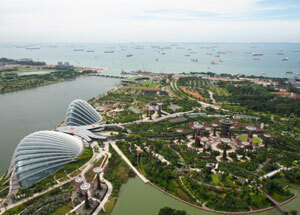 The drawcard is the Gardens by the Bay with its Supertrees, Cloud Forest and Flower Dome. Capture the essence of rural and regional French culture as reflected through her gardens: Normandy, Loire, Dordogne and Gironde. A soulful and sensory experience at the peak of the autumn harvest. We travel through river valleys, fertile farmland and mediaeval villages to see the very best chateaux, cloister and kitchen gardens in the country. 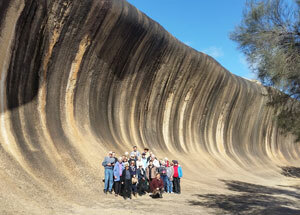 Let Australian plant lover Colin Barlow introduce you to the diverse natural wonders of southern Western Australia. Meet milkmaids, honeypots, green kangaroo paws and mountain bells in the wild, and catch the extravaganza of the Kings Park Wildflower Festival. Your chance to visit possibly the most ambitious horticultural expo ever staged. This International Horticultural Expo in Yanqing overlooks the Great Wall near Baderling just north/west of Beijing. It will run for six months. 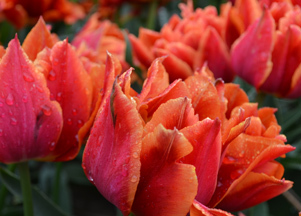 Our tour includes all of NSW’s spring flower festivals; Tulip Time Southern Highlands, Floriade in Canberra, Cowra Cherry Blossom and the Leura Garden Festival. We’ll do it in style with time to enjoy the fine food and wines of each region. 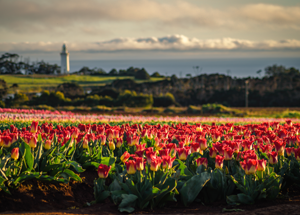 Tasmania’s cool spring is perfect for flowering trees, bulbs and rhododendrons; colourful shows of spring flowers. Painting with petals. 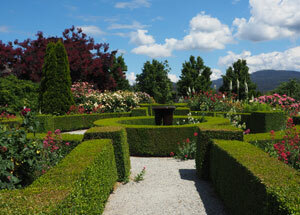 Discover some of Tasmania’s finest gardens on this week-long holiday. Meet some passionate gardeners and share their inspiration. Victoria’s fine country gardens at the peak spring flush. Meet the gardeners behind each masterpiece. See old favourites & exciting new cutting edge gardens: including David Glenn’s Lambley, Paul Bangay’s Stonefields, Dame Elisabeth’s Cruden Farm and Stuart Rattle’s Musk Farm. Home to the frangipani, the dahlia and to chocolate! Visit ancient pyramids of Aztec and Mayan civilisations, Puerto Vallarta, Mexico City, The Yucatan and finish in Hemmingway’s Cuba at Havana and Vinales. New Zealand’s gardens are amongst the best anywhere. Marlborough has a festival like no other and based in Blenheim. This gives us the perfect excuse to visit some of the best private gardens in this incredibly beautiful region in the south island with Michael McCoy, your tour leader. Go ‘behind the scenes’ at ‘The Race That Stops The Nation’. A special preview of Flemington Racecourse Rose Garden before the race, without the crowds. 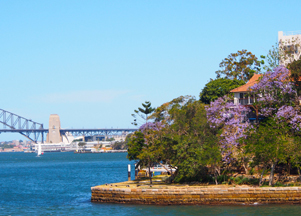 Ses the most beautiful harbour in the world with breathtaking Jacarandas in full flower, with commentary by Graham Ross.